I'm at KBS Kiss the Radio !! 이특형 은혁이 너무 수고 많앗어요^^ 최고 !! 사랑해 !! Thank U !! Taiwan ! !singapore !! Thai !! Malaysia !! ELF !! Pray for Thai !!! Don't worry !! Every thing's ganna be aright !! 기다려주셧다!! 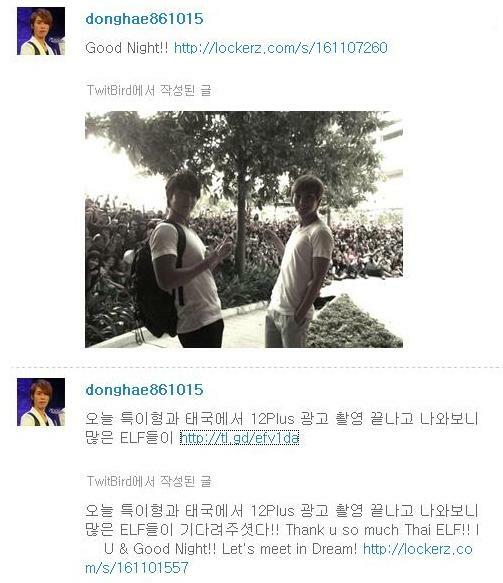 Thank u so much Thai ELF!! I U & Good Night!! Let's meet in Dream! Thank u so much Thai ELF! !